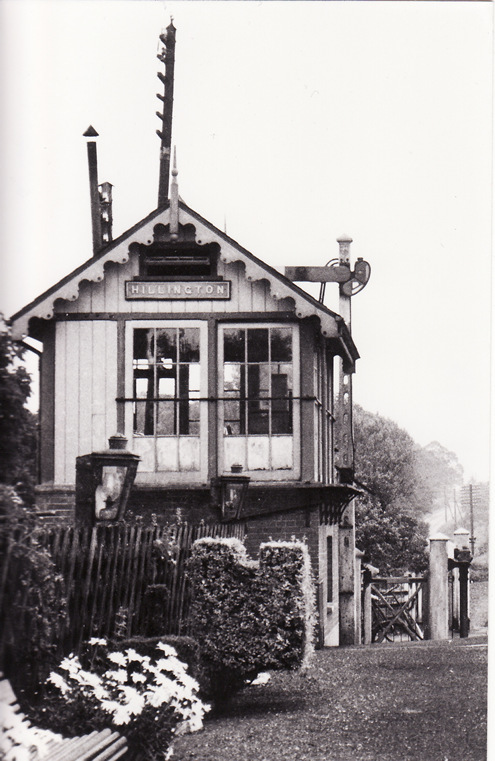 "Hillington Station for Sandringham" - shortly after closure (above). 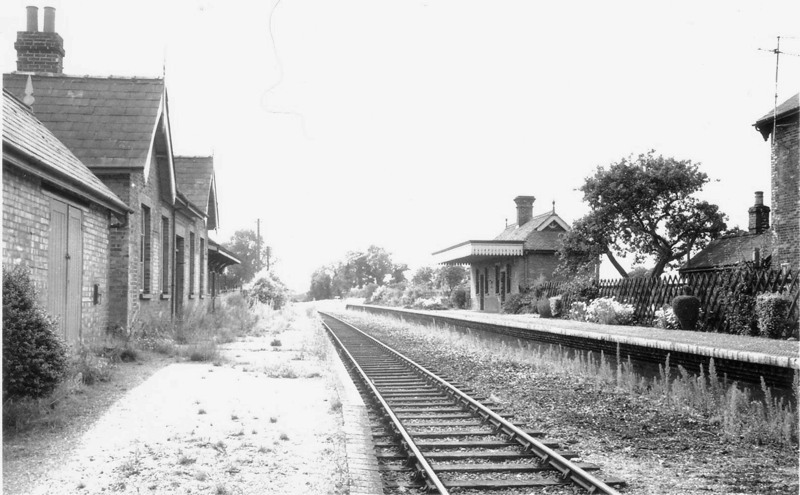 Built in 1879 on the King's Lynn to Fakenham Railway, later the Midland and Great Northern Railway and occasionally used by the Royal family instead of Wolferton, it closed in the early 1960s for passenger traffic, although the line remained open for freight into the 1970s. (Photo Copyright Douglas Thompson). (Right) A Midland & Great Northern Railway ticket for the carriage of a dog from Hillington Station to Grimston. This was by road of course and cost the owner 2d (less than 1p in today's money but probably worth around 25p now). 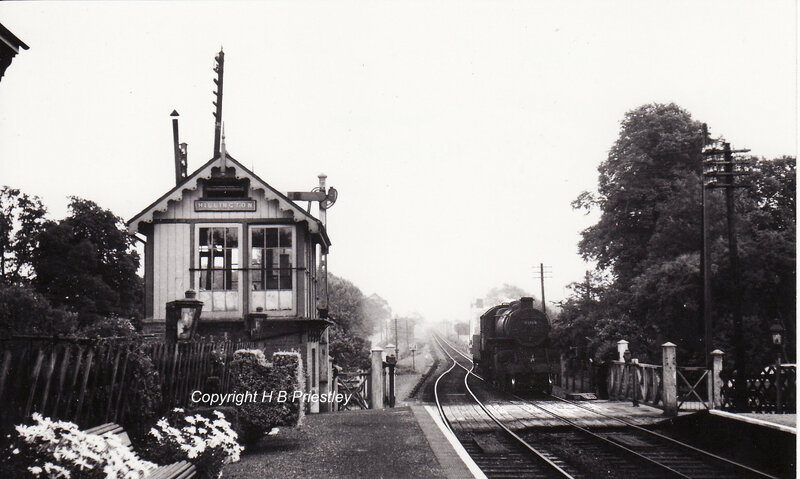 (Right) The signal box looking east c1956. Note the topiary hedge and the two lamps which are burning! (Click on the photo for a larger image with a train. Photo Copyright H B Priestley).